Thursday greetings to you, it's Kathi here to host the blog today. 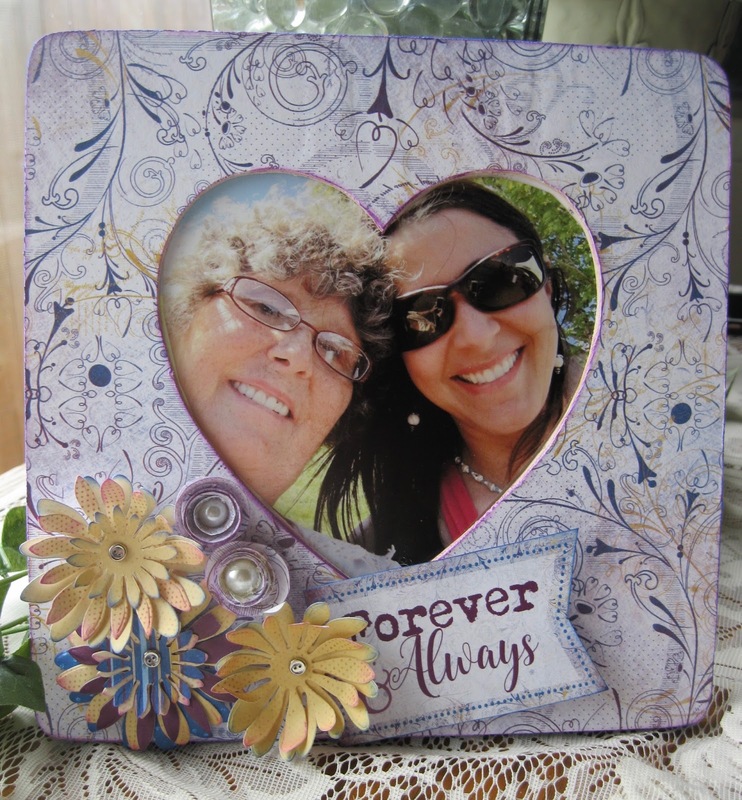 I am sharing with you the photo frame I did for Mother's Day. I used the same paper line I did for the other gifts I created for daughter. Mother's Day is just around the corner. The paper collection pack called Mulberry. I used 102 for the frame and then some PowderPuff Chalk Inks for added impact. Royal Blue for the outside edges of the frame and Violet for the edge of the heart on the frame. 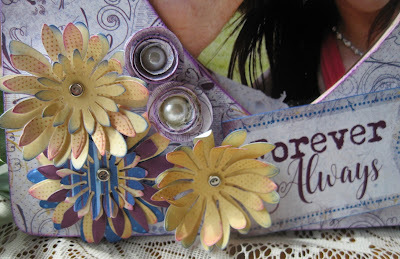 I created the flowers with a flower die from my stash. Each flower I distressed the edges with the Royal Blue and Violet PowderPuff Chalk Inks to give it dimension and to add some color. I added a brad in the center of the three large flowers and large pearl drops to the center of the two smaller flowers. Finally, I added the sentiment from the Mulberry 500 Quotes and Phases. This photo shows the entire set, I made this just a few projects ago. The set is now complete for Mother's Day. Thanks for sharing this time with us today! We hope we have inspired you with some creations for that special person in your life.